Join us Wednesday Jan 27 for our 1 Year Anniversary Celebration!! We will have live Jazz as well as fantastic dinner and dessert specials!! Blu Sardinia, a Modern Style Italian restaurant that uses the best locally-sourced ingredients alongside some special Italian imports- like our signature olive oil and our Cannonau red wine. 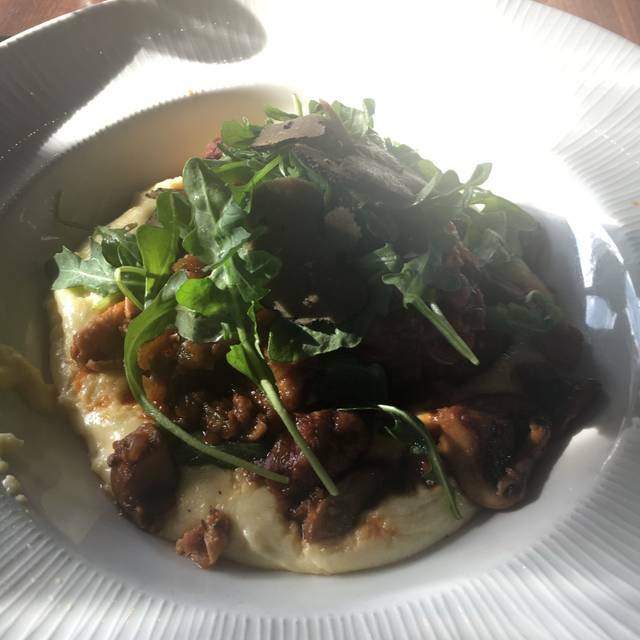 While some of the dishes on the menu may be new to you they are modern Italian favorites that will leave you not just feeling satisfied but feeling good. 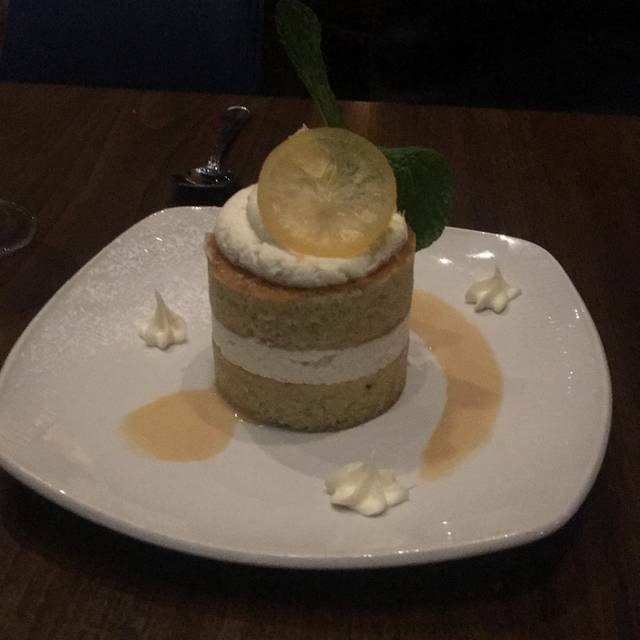 It was Seattle Restaurant week & I’d been wanting to try out Blu Sardinia for a while. What a great choice! The food was excellent, our server friendly & helpful. We had a really lovely evening. I guess they don’t acknowledge a special occasion mentioned in the reservation. The person who brought us to our table was very nice but our waitress took no interest nor cared, just wanted to know what we wanted and that was that. Food lacked flavor, so I had no interest in dessert. Seattle Restaurant Week Spring 2019. It was a lunch splurge/break from work, for me and glad I did it. Lovely modern decor with a warm and friendly and efficient server. I chose the creamy buratta with olives, artichoke, and toasted Ciabatta. That imported burrata was amazing and perfectly creamy. For the entrée I chose the Malloreddus bolognese. I would have preferred the bolgnese a bit more meaty and savory in flavor (it tended toward sweet), but the pasta was absolutely perfect and the bolognese was actually a good fit for a fresher lighter lunch. I look forward to coming here again! I thought the food was okay, nothing amazing. 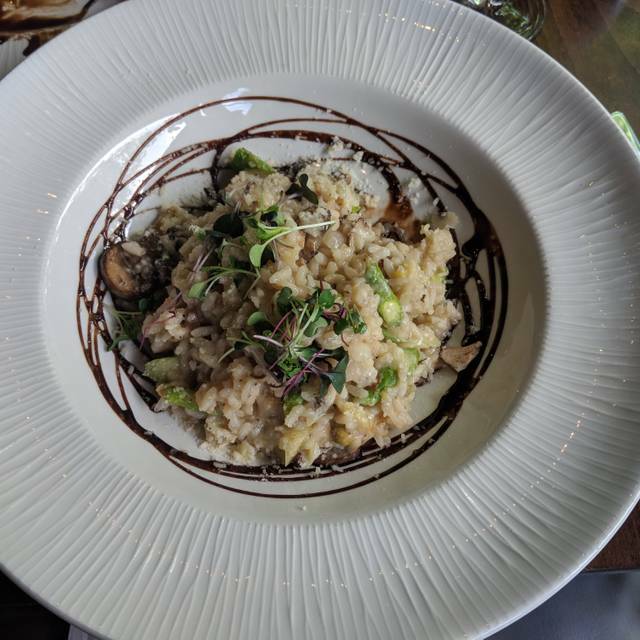 I had the risotto and ensalata and gelato. I have had much better. My husband had the chicken parm which was good but a little disappointed there wasn't pasta accompanying it but instead salad. The ambiance was good, a bit loud though, we couldn't hear each other talking when the table right beside us was laughing and talking. Good! Great wine selection! Good pizza! Server was attentive for our party of 6. Drinks and appys were brought to our table timely. Kitchen accommodated several "customizations" which makes me think they are a scratch kitchen (no preprepared meals). Slightly pricey, but still reasonable. I would go back, but after I try some of the many other (also) great restaurants in the area. Alas: this was the first time I've been disappointed with Blu Sardinia. It's one of the only places I eat when I come visit Seattle, where I have called home for 28 years. Being a chef/ayurvedic practitioner myself, I am extra mindful about calling ahead and speaking with the chef before I visit a restaurant-- learning about the level of attention paid to the finest ingredients, from the spices, particularly to the oils used in cooking and then how willing they are to pivot, based on our preferences in food combining, etc. I drive directly there from the airport so I can nourish as closely as possible to how I cook for myself at home. Lunches have always been exceptional. This time, I didn't feel as if the server, Michele, hear us. The salmon was overcooked (has always impeccably done, medium rare, in the past), there were a few ingredients on the plate that I had specifically asked to have removed/replaced. The pace of his order-taking seemed rushed, making it noticeable that he was busy with other tables and perhaps not taking in the specifics of our preferences. I will rethink when/if I eat here again, based on that. I know that my reviews are challenging to be 100% forthcoming in, given that no place is truly like my kitchen. I will certainly try it again to give it another chance, but it's a steep price point for overcooked, wild salmon and then having to pick out the spinach that I have extreme sensitivity to. Kind thanks for asking for the review. My friends really enjoyed their meals and their fish was cooked to perfection. Particularly the halibut. Such a great restaurant. Amazing service and really good food. Very quite and nice atmosphere. Will definitely go back. Tables close together, loud. Food is just ok at this price point. Delicious dinner and very friendly service. Prices are a touch high for portion sizes but an excellent experience overall. This continues to be one of our favorite Eastside places. It used to be a pretty quiet, so much so we worried about it staying open...but that's been a while. This place has been discovered and it's been pretty busy. You'll want a reservation for dinner. We ended up in an overflow room recently because it was packed downstairs --- no compromise on the service or food, but the place is that busy now. The food is consistently great, we've had everything and never been disappointed. I really like their half bottles of wine, they're very high quality choices if you don't want a whole bottle of wine. You'll see the owner around quite a bit and some of the staff we have seen for a few years now. This remains one of our go-to places for a nice dinner or a quiet and nice lunch. Our first time at this restaurant. We would definitely come again. The food and service were very good. My only complaint was that my soft drink was flat.The portion size and overall quality of the food were quite good. 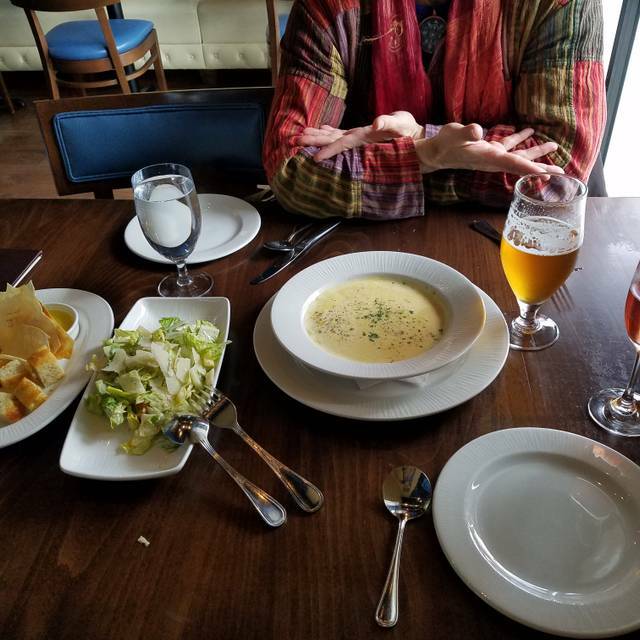 Blu Sardinia has become one of our favorite Eastside restaurants. 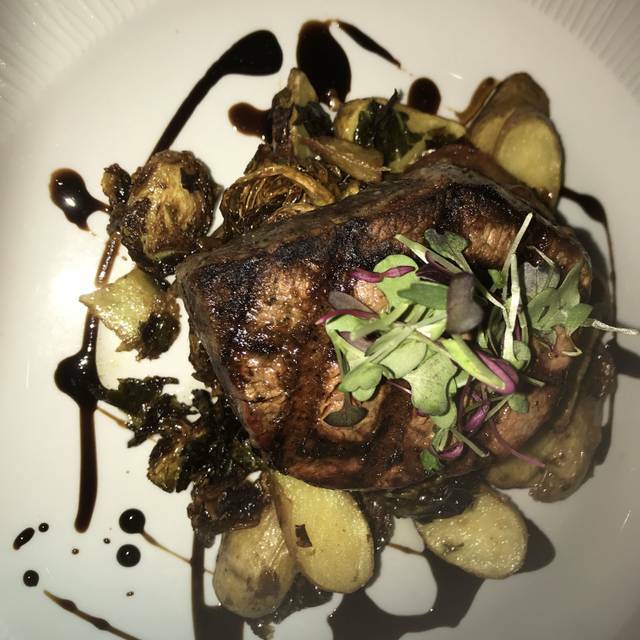 Service and food are consistently top-notch. My husband's porkchop was amazingly tender and flavorful, and my eggplant parmesan was a delicious, fresh presentation, light on the cheese and sauce that typically buries this dish. We'll keep returning! Always great to come back to Blu Sardinia. Great food, great relaxing atmosphere and nice evening. Great food and service! A little loud ... price in line with caliber of food. Great experience! Tasty food, very good service, as always! Thank you for making my birthday celebration perfect! Went there with 2 friends on a Sat evening. Awesome food. Grilled octopus was very tender and grilled to perfection. Shared short rib ravioli and special of the day - pork cheeks with polenta. Ravioli was home made with tons of short rib stuffing. Outstanding flavor! Pork cheeks wasn't anything special but polenta really made the dish. Service was excellent and very attentive. All of us were impressed and will be definitely going back. Love this place ❤️ We like to come here on Friday nights for date night. Summertime is also nice to come here. Everything was outstanding, particularly, our server, Alicia. Have eaten in this Redmond neighborhood gem many times. The food is always creative and delicious. 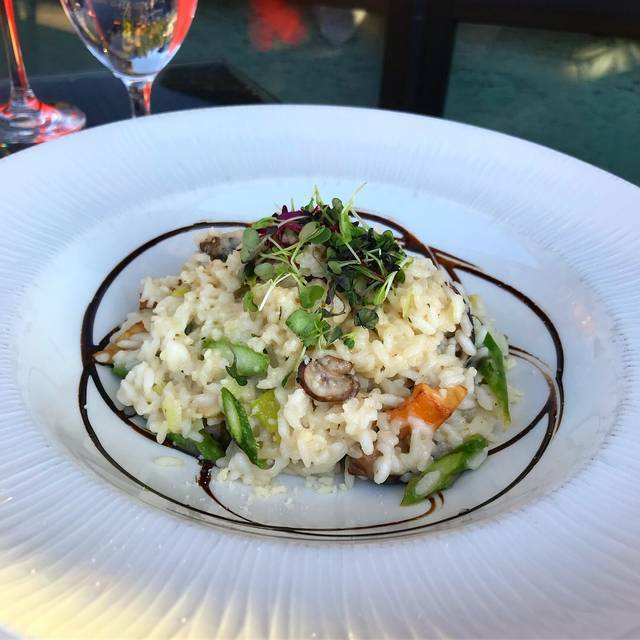 You can count on the various staples on the menu, but they are always cooking up some wonderful specials. Menu prices are reasonable and the wine list is varied and reasonable. The beef rib ravioli is to die for as are all of the desserts. Great hidden secret in Redmond. Happy hour is must as well! My wife and I had a excellent meal at Blu Sardinia with very good service and a nice atmosphere. We ordered the scallop special and it was absolutely fantastic. We also ordered a side of Brussels sprouts and they were just fantastic. It is an odd location in a former coffee shop location at a strip mall, but once you step inside you are transported to Italy. 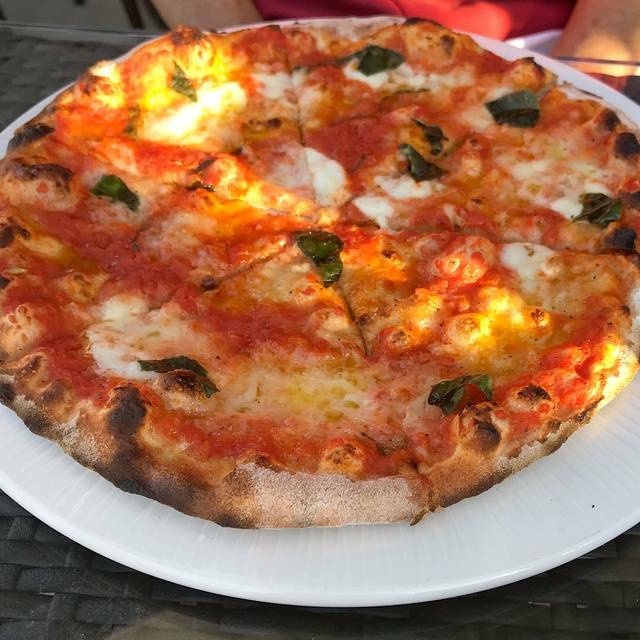 We have been to Blu Sardinia at least 12 times and this meal was outstanding. One of the best. Our server was great. Not in your face but attentive. I thought the duck special with marionberry sauce and asaparus wrapped in prosciutto was outstanding. The perfect mix of sweet, salty and savory. The merlot the server recommended went very well. 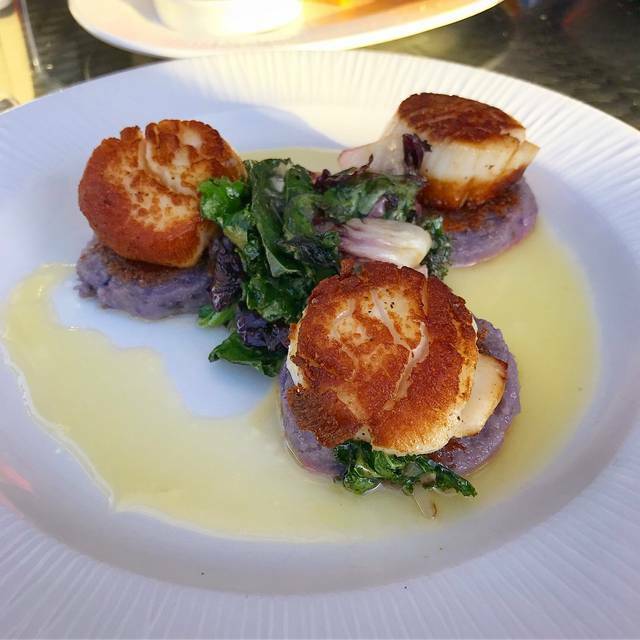 My husband's scallops were cooked to perfection which mos restaurants can't get right. Thank you for a lovely evening! This is the second time dining at Blue (first review) and I give it rave reviews in every category. More than anything else, the service was over the top good! Our best Valentines Day ever. An excellent restaurant with a diverse menu, excellent preparation and presentation and exceptional service. Great bar, too! 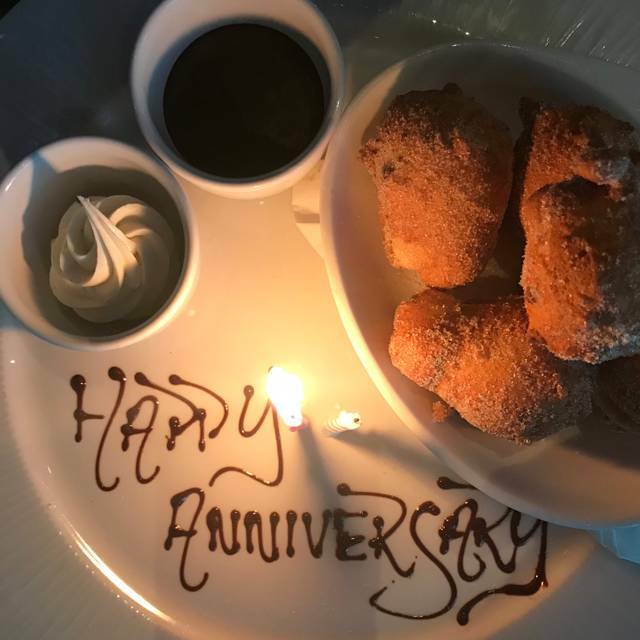 Went with my boyfriend for a birthday dinner. Lovely meal and wine list. The only reason I didn’t give a full 5 stars was because there were a lot of children, making it a bit noisy. But once it was later and the families cleared out, there was a lovely romantic atmosphere. Would recommend! One of our favorite restaurants on Seattle's Eastside. Italian/American. I had Gnocchi with white wine sauce, wife had Risotto with mushroom sauce our friends had Beef Short rib ravioli and Filet. Every plate was wonderful. The service was prompt and attentive while at the same time nearly invisible. My only complaint is the same as with almost every restaurant I enter, NOISE!. I am old. I don't hear well in a library. Put me in an average restaurant and all I can do is nod and smile. Still, I enjoyed the evening with dear friends in Blu Sardinia. My friends and I have been here many times and we always enjoy our food and the service is always friendly. Great restaurant! The food was most disappointing. I ordered the chicken saltimboca daily special. It arrived as 2 very small flattened-to-hard disks that were cooked to death, dry & flavorless. Appetizers & a friend's chopped salad were also less than promised. The gnocchi was the only dish in our group that was very good. They graciously accepted our feedback but offered nothing in return. The location is handy but we are unlikely to return. This was an awesome place , but since they got a new manager the food is the the same . Had the lamb shank burnt, with rice from a box . The good wines are gone . I am sorry o say but they need sera joe and rodgrigco back and the chefs . I love this place but not happy to see it go down . Always great. Our go to lunch place for business lunches and also good for dinner.